Light up your classroom, home or office with Barker Creek's motivational posters! Measuring 13 3/8" x 19" and printed on durable, 12pt paper; you can hang it "as is" or frame it for a motivational work of art. 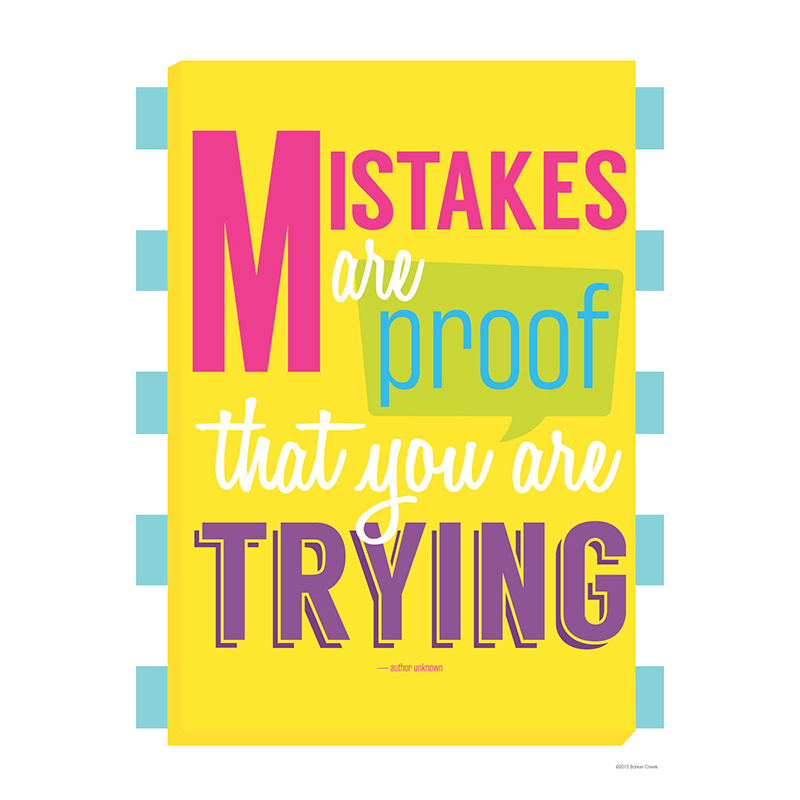 The poster states, "Mistakes are proof that you are trying".